This post is presented by Disc Store. All opinions are those of the author; please support the brands that make Ultiworld possible and shop at Disc Store! The US Open gave us a first look at the country’s top club teams as the 2016 season gets underway. Although teams were clearly not at full strength and many were getting one of their first chances to play together, the tournament still provided some valuable information about where teams stand early in the season. Knocking off Sockeye in the first round on Friday would prove to be the highlight of the weekend for Madison Club, as they fell off the pace from that point on. Roster absences certainly had something to do with it, as the team rolled about 16-17 deep for most of the weekend. While Machine won the tournament with a similarly condensed roster, Chicago had most of its best players; Madison was missing guys like Kevin Brown, Peter Graffy, Pat Shriwise, and Dave Wiseman, among others. This meant that the top players for Mad Club that were present had to play a lot. Colin Camp, who was the lynchpin of Madison’s offensive sets and took most of the top matchups on defense, often had to play four or five points in a row, and it took a toll. Without their full roster, it’s hard to tell what the team’s ceiling is, but that win over Sockeye was promising. Camp and Brian Hart seem to be ready to take that next step from college stars to truly elite club players, while less heralded but vital role players like Kevin Pettit-Scantling allow Madison to play an imposing and physical brand of ultimate that should find more success later in the year. Heading into the weekend with some serious roster holes due to absence, Florida United has to be happy with their performance. They played Machine tight in a chippy game on Friday, and were a couple key plays away from potentially pulling off the upset. The big moment for Florida came out Saturday when they blasted Madison Club, showing superior execution and good chemistry early in the season. The spotlight was on Cole Sullivan for much of the tournament given the team’s makeup, and the former college and Club champion took to the role with aplomb. United didn’t get a chance to hit the next gear this weekend after they failed to qualify for the semifinals. The biggest black spot on their resume at the US Open was the lack of a signature win, dropping the aforementioned game to Machine before getting absolutely dismantled by Sockeye. With the rest of the season to focus on taking down a top five team, United must feel good about their chances of returning to Nationals in 2016 after their solid performance against the rest of the pack. The line on Philly’s performance in Rhode Island is pretty simple: They beat the teams they were supposed to beat, and lost to the teams they were supposed to lose to. It was a remarkably uniform weekend for Patrol all around, losing to Ironside and Revolver by four and beating Guerrilla and Turbine by two. Looking to return to Nationals after their maiden voyage in 2015, Patrol got what they needed out of the weekend, specifically reps for new players and positive chemistry steps without dropping a game to a lower seeded team. Securing a second bid for the Mid-Atlantic is crucial for Patrol, and they are well on their way to doing so after this weekend. Turbine acquitted themselves well at the tournament, with a nice comeback win over Guerrilla and a close call against Patrol. 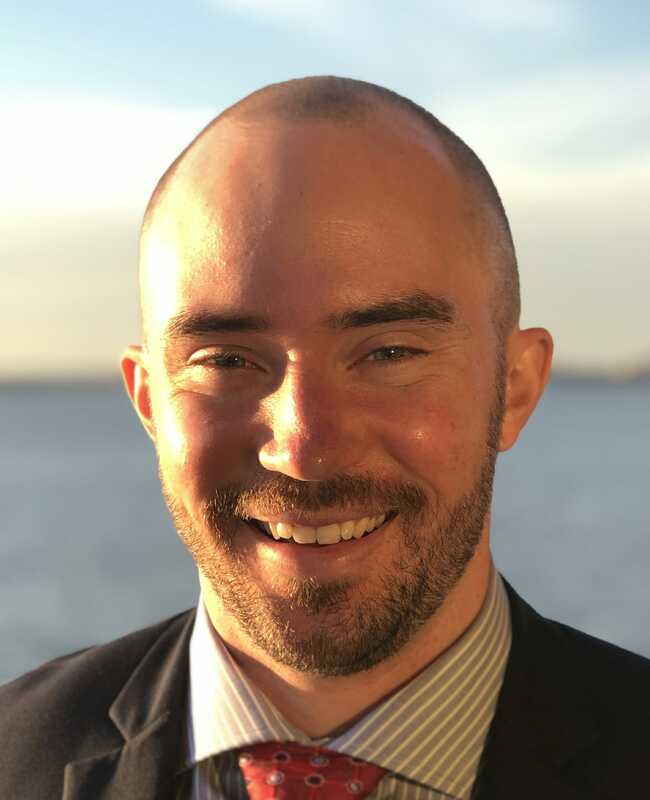 The team, led by captain Matt Bode, has a one page playbook that reads: “Deep balls all day.” Even when Turbine’s throwers would miss with a huck, words of encouragement bellowed from the sidelines, urging them to keep shooting. Clearly, the team doesn’t have the polish to sustain a run through elite competition, but they should be on everyone’s radar as a potential upset specialist come Regionals. A team with size and athleticism, which the Carolina core of Turbine has in abundance, combined with big throwers can be deadly on the right day, even to top teams. Turbine could very well be this year’s Omen, not making Nationals themselves, but shaking things up at Southeast Regionals. There was some serious buzz about Guerrilla heading into the weekend, but that has died down to a dull hum after the Bay Area team posted an uninspiring 1-4 record in pool play. It’s clear from watching the team that they just aren’t quite there yet as an elite entity, despite some promising flashes. The offense, led by U23 player Chuck Cao and a cohort of tricky lefty throwers, had its moments, particularly at the start of the team’s game against Ironside. The problem for Guerrilla was that once things went wrong, they went really wrong, exemplified by that same game against Boston. Guerrilla jumped out to a 6-4 lead before surrendering a debilitating 11-1 run to lose the game in a laugher. Guerrilla has the talent and the pedigree to be a force at some point in the future, but elite teams just don’t have stretches like that. There is a lot more about the teams that reached the semifinals in our other US Open reporting. – Although no one on San Francisco Revolver’s roster would admit it after their semifinal loss to Sockeye, this team is not the one that we will see in the postseason. With the 2016 debut of Beau Kittredge and 2015 Men’s Player of the Year Cassidy Rasmussen still to come and the possible late season additions of practice players Ashlin Joye and Robbie Cahill, you have to expect that we will see the typically superb Revolver in October. Despite the narrow loss to Sockeye in semis, Revolver has a lot of positives to take away from the weekend: Eli Kerns is already looking like he will be capable of running the offense from the center handler spot and Simon Higgins is more dangerous than ever. Question mark? The team’s new additions. – At times Boston Ironside was the best team at the tournament. Yet, like at so many of their championship events, Boston was not able to play up to their top level in their biggest game of the weekend: the semifinal against Machine. After the game, players spoke about removing fear from their team mentality, which they hope will allow them to compete at the highest level, regardless of the opponent and the situation. Adding a veteran like Kurt Gibson — who also happens to be one of the best players in the world — will no doubt help. – Even without Danny Karlinsky, Nick Stuart, and BJ Sefton, Seattle Sockeye played well enough to take down their biggest rivals, Revolver, in the semifinals. One of the biggest storylines of the season will be following how Simon Montague and Danny Karlinsky work together. Will their O-line center around Montague’s huge throws or Karlinsky’s quickness and fast disc movement? Other new additions for Seattle, like Trent Dillon and Husayn Carnegie, had a positive impact this weekend. If they can work everything out over the course of the season, Sockeye’s ceiling might be the highest in the country (that is, if Ashlin Joye doesn’t play in the series for Revolver). 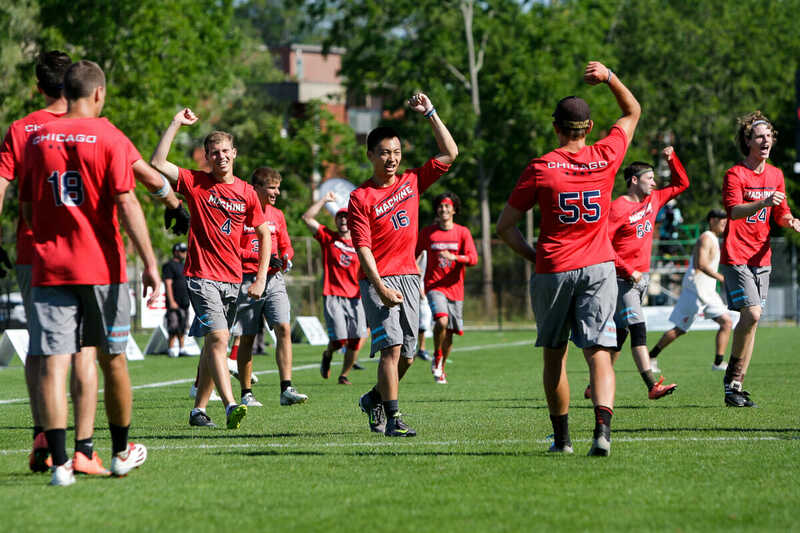 – Chicago Machine‘s play improved game by game as the tournament wore on and they clearly peaked in the final against Sockeye. Impressive athletic defense and creative offense anchored by resident disc wizard Brett Matzuka led the way all weekend for Chicago. They were also the loosest team at the tournament and kept the energy high with their Bushwhacking celebration ((see the cover photo)) and chipper attitude. AJ Nelson was outstanding, finishing with a team-high 10 goals ((Note that stat-keeping was inconsistent this weekend)) on the weekend, and new addition Pawel Janas (formerly of Johnny Bravo) was a perfect fit as a steady hand on the offensive line to complement the creativity of Brett Matzuka. It is worth noting that Machine had the most complete roster of any of the semis teams; they will have to continue to tighten up on both sides of the disc to compete with the other National semifinals contenders later this season. Comments on "US Open 2016: Tournament Recap (Men’s), Presented By Disc Store"